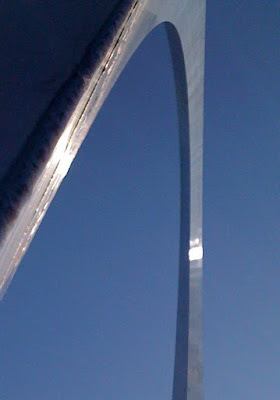 I waited a long time for this photo of the Gateway Arch that was designed by Eero Saarinen and built between 1963 and 1968. Of course I really wanted to see it for myself but I entrusted The Guy to use his iphone to capture the definitive architectural statement. What can I say? Archn't you disappointed I didn't take the trip to St Louis too?